The animal-filled sheet in Peter’s vision is seldom used to prove strict kosher observance, but one rabbi did. While in New York City, my friend and I had a Shabbat tradition of alternating synagogues each week. Since we hadn’t yet found a good fit in a Messianic Jewish congregation in the city, we were compelled to attend synagogues that are more traditional. We each had our favorite congregations that we attended consistently but we wanted to start attending services together. One week we would go to my favorite Modern Orthodox shul, and the next we would go to her favorite Conservative shul. One particular Shabbat we went to a different Modern Orthodox congregation—one that I had been to only a few times before. I wanted my friend to experience the grandeur of the synagogue and the uniqueness of their service, so we decided to change our routine. Although we had planned to meet each other in front of the synagogue five minutes before service, we both greatly overslept, arriving over two hours late in the middle of the Torah readings. The service concluded within thirty minutes of our arrival, so we decided to stay afterward for the rabbi’s Torah study. The rabbi began his lesson by alerting us that this was a study on kashrut (rabbinic kosher laws). Since we were very familiar with the laws already, we were not too excited, but did not have an opportunity to leave without making a scene. So, we stayed. 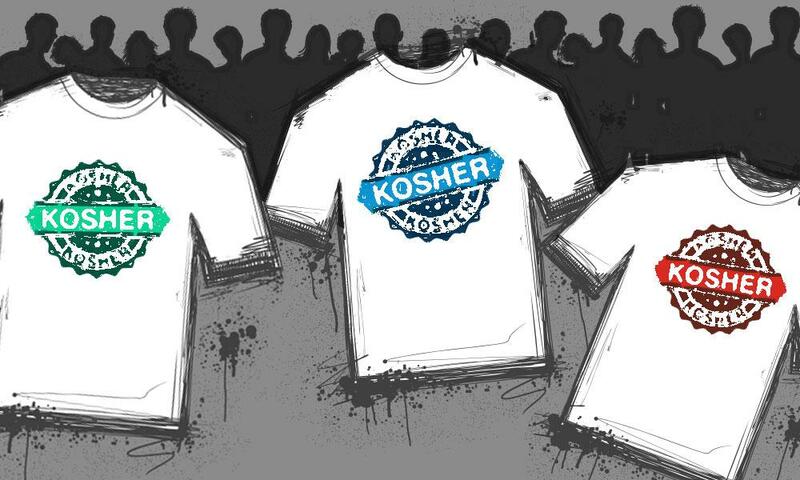 We thought it was strange that the rabbi decided to talk about this subject in a Modern Orthodox shul, where surely all the members were well versed on kashrut from infancy and, moreover, this had nothing to do with the day’s Torah portion. We were going to wait a few minutes before we attempted to gracefully make our escape. What we thought would be a boring lesson ended up taking an interesting turn, and it actually became a fascinating and enlightening study. The rabbi pulled the most unexpected Jewish story to illustrate his point. In order to support his claims that Judaism always held to strict standards of kashrut, he used the story of Peter. Wait…what? The rabbi began his interpretation by saying, “The first ‘Jews for Jesus’ kept a halachic level of kashrut. 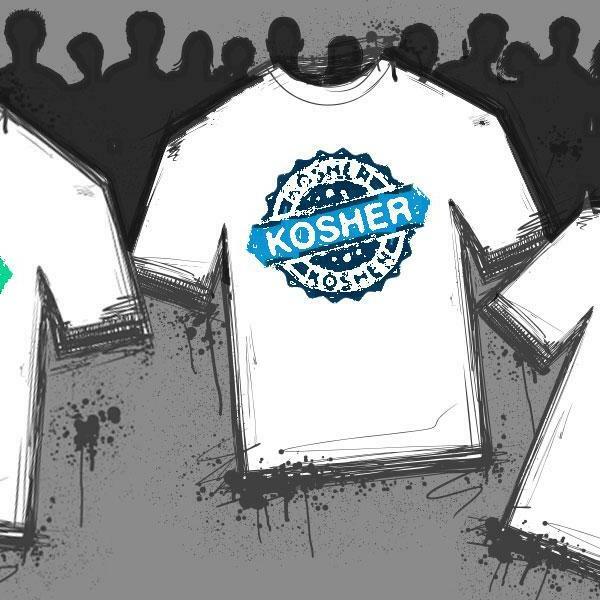 Jesus kept and promoted high levels of kashrut.” My friend, who was also a Messianic Jew, looked at me in disbelief, and I was equally as perplexed as she was. Did we hear this correctly? Peter’s vision of the sheet being lowered with all forms of animals and creatures—kosher and not kosher—was his proof text? Not only did he say that this vision supports the first Jesus-believing Jews as being 100 percent kosher, but it was also the earliest confirmed text concerning kashrut according to him. He cited other similar stories that the rabbis recounted in the Talmud about such visions or experiences, and he showed the correlation between the New Testament and the Gemara. A story that has typically been used either to prove the abrogation of Jewish dietary laws, or to prove that Jesus and his disciples were apostates from the Mosaic faith was now being used to prove the exact opposite. This vision was used to uphold the devotion of Jesus and his Jewish disciples. Not only was I once again encouraged by the strides that are being made in repairing the character of Yeshua and that of his disciples, and healing thousands of years of animosity (and in such an unexpected place), but I was reminded that the testimony that we possess in the New Testament is one in which we can be secure. We do not need to scour the stories and make sure our theological reasonings are airtight in order to support our understanding that the Torah is in no way being invalidated, for it is evident in and of itself. We do not need to worry that the testimony may be flawed, or “not Jewish,” or problematic. Rather, we can be secure knowing that the Scriptures are reliable in their entirety, and they testify to themselves. So often I feel that HaShem places me in the strangest of places at exactly the right time. I am constantly being blessed through exposure to amazing developments within the Jewish community. For me, this provides me with a boost to continue the work that so easily can become difficult for us all. For those of us with high hopes and expectations for our movement, it may be easy to be discouraged at times, and it may be tempting to think that we are trying to level a mountain with a pick ax, but our work and prayers are not in vain. We also do not need to shrink back, constantly devoting our energy to rigorously defending our Judaism or Jewish-ness, for now we have reached the era where others are doing this for us. HaShem is using us, and will continue to use us, to further this repair of the Messiah’s character and that of his disciples. In addition, we ourselves, as Jesus’ Jewish and Gentile disciples, can devote our efforts to continue to be the light and kosher salt in this world that he made us to be.